Where you will see Expansion, Good Fortune and Success in 2016? Jupiter (Luck/expansion and prosperity) begins the year in Virgo, your 5th House of children, romance, creativity, your hobbies and risk taking, so these areas are where you will see luck, growth, expansion, and catch lucky breaks, Taurus. 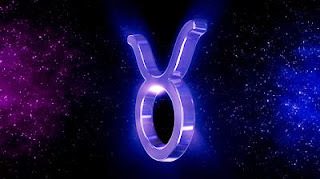 Your World Views are also another property of this planet of luck, so during this time, you might change the way you see/view this area of your life, Taurus. Then on 9/9, Jupiter enters, Libra, your 6th House of health, wellness, daily routines until 10/10/17. With Jupiter in your 6th House, you will find your greatest growth comes career, health, daily routines, associates and work. During this year long transit that begins on 9/9, you will be untouchable in your career, Taurus. Expect luck, expansion and be ready for lots of offers, prosperity and new assignments to fall in your lap quite effortlessly, Taurus. During this transit that lasts well into October of 2017, you're primed for a promotion or raise in salary at your place of employment. It's a time to shine where you profession is involved. Just make sure you don't make promises you might not be able to keep and try not to overexert or overextend yourself during this time, Taurus. You must remember to put yourself first during this rewarding time, no matter how much you desire to help others, Taurus. Trust me on this one, Taurus! Where you can expect a few surprises, Taurus? Uranus (Events you never saw coming or dreamed possible/Shocks and surprises) continues its transit of Aries this year. Aries is your 2nd House of finance, personal possessions and deals with your self-worth. During this time, expect some surprises in this area and you can find yourself dealing with unexpected surprises occurring with regards to your possessions, real estate and your earning capacity. This transit will prompt you to take a second and possibly third glance at your expenses, finances, Taurus. Expect shocks and surprises with money and your valuables during this long transit of Uranus as it promises to wake you up and reveal what needs improvement, especially where real estate, savings and those things and relationships that you value most are concerned, Taurus. This transit began in 2010 and ends in 2019. Learn your Houses - A simple reference guide on how to learn your birth chart and understand the Houses unique to you and your sign in Astrology. What does this all mean? It's important in Astrology to know your Houses. It's good to know this because it helps you, for example that Venus (the planet) transits (The sign of) Gemini, you can understand these planets (All planets in Astrology that transit through the sign of Gemini) will always transit your 2nd House and the 2nd House is all about possessions, self-worth and money. Also, when the outer planets such as Neptune (Currently in Pisces - Your 11th House of friends), Pluto (Currently in Capricorn - Your 9th House of World Views/Overseas Travel) and Uranus (Currently in Aries - Your12th House of privacy) you can begin to see how Astrology works on a more comprehensive level. The signs of Aries, Virgo and a Pisces have an enormous impact on your year Taurus. With Aries, you figure out hat is happening behind the scenes, you learn about secrets in 2016 with an Aries. You get along well and can learn from one another. With a Virgo, the emphasis falls on children, luck and finding someone who you adore and who adores you just as much. This is a mutual admiration society although you sometimes tend to get short fused with Virgo, Taurus. A Pisces is someone new and dear to your heart as well. A Pisces can bring good luck and the timing is good for a romance to occur in 2016, Taurus, if single.